The FA Cup is one of the best football tournaments on the planet and our FA Cup predictions will guide you towards the best bets for every match being played. This season promises to be just as exciting as lower league sides continue to show ambition and the Premier League elite look to pick up silverware and avoid placing themselves in FA Cup folklore for all the wrong reasons. The Magic of the Cup is back and we’ll have all the very best FA Cup odds right here. The FA Cup thrills us every year and ahead of each fixture we’ll have all the best analysis and odds for you to upset the apple cart and win a tidy profit. It’s the competition where anything can happen so you can make mega bucks from an FA Cup giant killing. Our FA Cup previews take into account form, head-to-head and players to watch so you’ll have all you need to know whether it be Manchester United playing or Stalybridge Celtic! All our FA Cup betting predictions are written with betting in mind as we look to help you beat the Goliaths of the betting world – the bookies. When will you pick your FA Cup betting tips? We’ll bring you our FA Cup betting tips a few days before each round to make sure you receive the most up-to-date odds and analysis as well as enough time to get your FA Cup accumulator formed. We’ll also cover every replay, so if you fancy backing a penalty shoot out, we’re on hand. We’ll also combine our tips with our favourite free bets, odds and offers, so you can make the most of your FA Cup betting. Where will your FA Cup predictions be? We’ll post all our FA Cup previews at the top of this page, covering the First Round Proper right through to the FA Cup final. We’ll cover all the replays so all bases are covered when it comes to the latest FA Cup odds. Our football predictions come complete with odds and offers from the UK’s top bookmakers, so make sure you check back before every round of the competition. Follow us on Twitter at @thatsagoal and we’ll post all the very latest FA Cup betting odds and analysis direct to your feed. Don’t forget to tell us if you win too! Where do you find the best FA Cup bets? Our FA Cup odds come from across the best bookmakers on the web. Our experts are continually on the look out for the best odds and offers to make sure you get the most value from our FA Cup predictions. You’ll always get reliable odds from us. 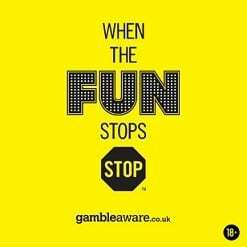 We work with some of the UK’s best bookies and bring you offers from the likes of William Hill, SkyBet, and Coral. What are the best FA Cup free bets? We make sure we don’t only provide you with the best FA Cup tips but also the best free bets and promotions too. Within our predictions you’ll find a range of fantastic FA Cup free bets so you make the most of the weekend’s action. You’ll also find tons of our favourite free bets on our free bets page. Here you’ll find some of the UK’s best free bets from top bookmakers online. We don’t just stop at FA Cup betting at thatsagoal. Every week we deliver the best football preview across the Premier League, Football League and Europe’s top leagues. We also dedicate our midweeks to the best Champions League and Europa League action with our footy experts providing you with all the top tips. You’ll find all our footy predictions by browsing the menu at the top of the page. Here you’ll also find all the best accumulator tips and both teams to score odds. We really do have all bases covered!